I love American inspired food. Burgers, wedges, pasta, waffles all of it! When we got to try out Iceland’s new range of American foods called The Shack, my husband and I were excited. I have never been to America so have never tasted real authentic American food. We did go to Canada over 6 years ago and that’s the closest we have been. 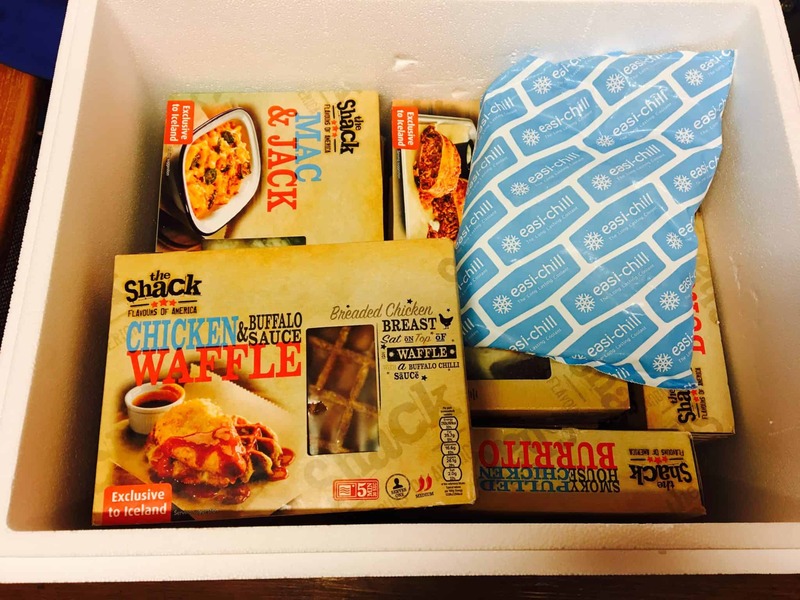 The Shack meal range is perfect for Autumn. A warming comfort food range that is ideal for sharing with friends and family. 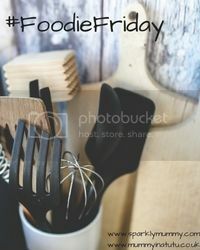 I cooked up a few things for a cosy night in with my husband and a film. It was lovely to chat about how the food tasted while watching TV. 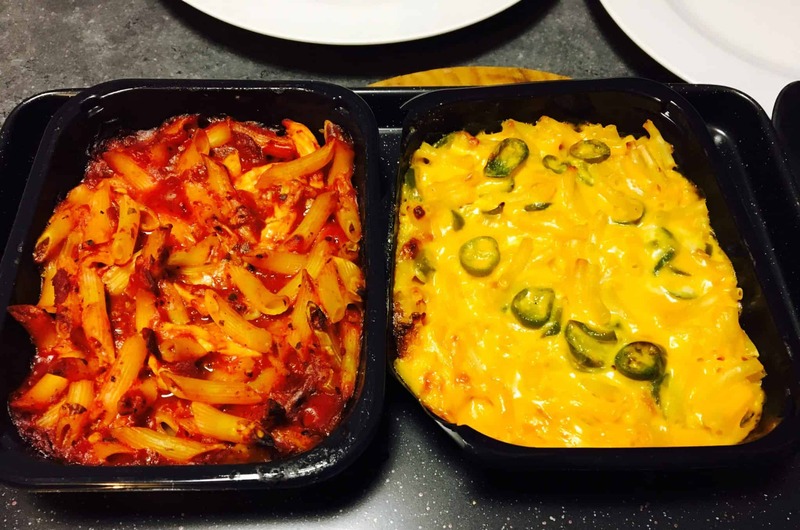 Macaroni and Monterey Jack Cheese scattered with crispy onions & jalapeno chillies. 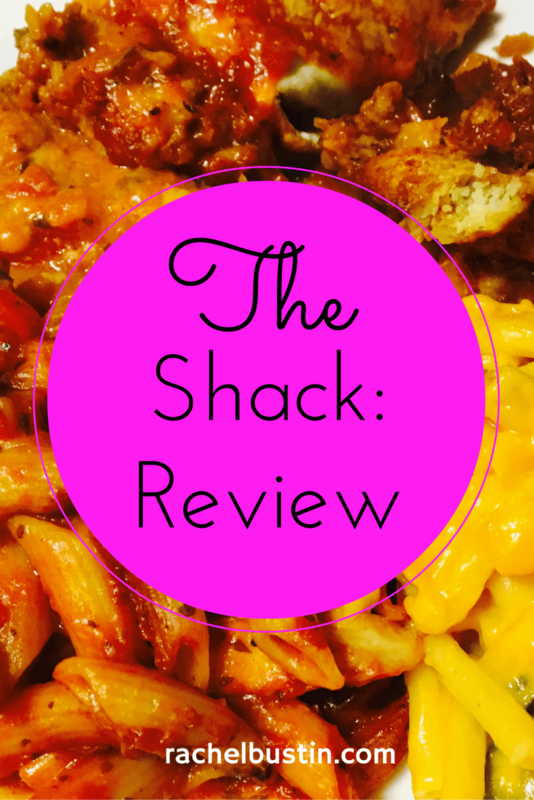 I haven’t had Mac N Cheese is ages and The Shack Mac & Jack is fab! The chillies make it a little on the hot side! But give it an extra kick! Very filling with a fantastic creamy cheesy sauce and one 550g portion is too much for one, glad we shared it. Great comfort food at it’s best. I will be buying this one again. 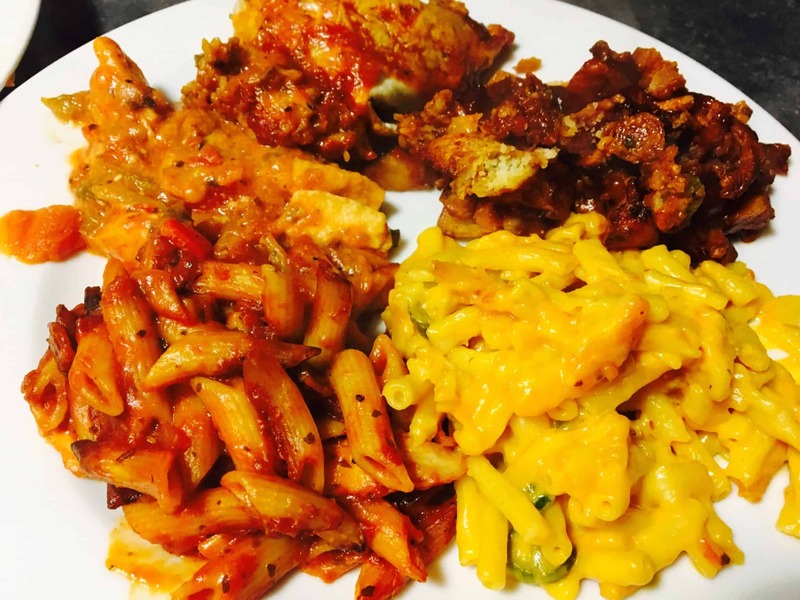 Penne Pasta topped with Spicy Pepperoni and tomato sauce, with pulled Chicken and Cheddar cheese melt top. I love pasta and this dish sounded delicious. 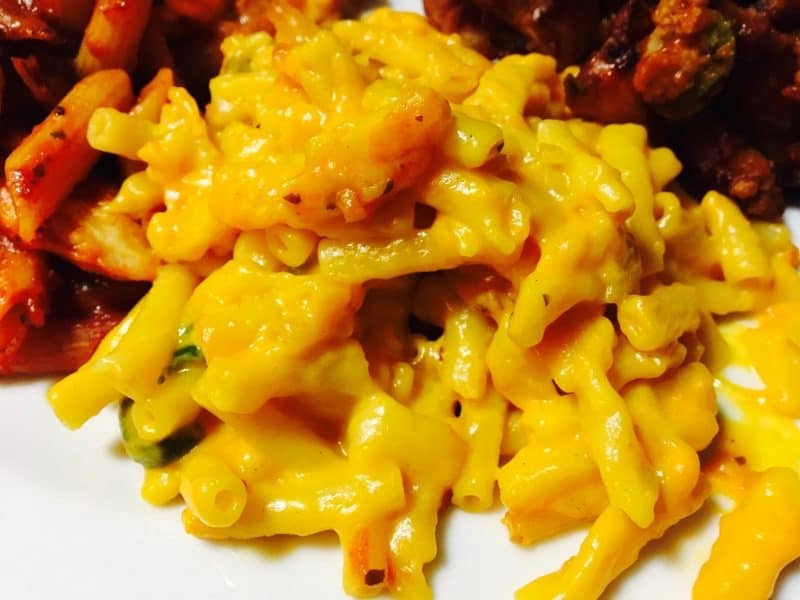 I cooked it in the oven alongside the Mac & Jack so my husband and I could have some of each. The penne sauce was tasty but very spicy. A moreish dish which could have done with a little more cheese for my liking. Ground Beef Chilli Con Carne with skin on potato wedges, topped with mature cheddar cheese & jalapeno rings. The chilli beef wedges were very nice. I have to say they were spicy hot! They could have done with some more beef to go with the wedges, but tasty nonetheless. East to cook. If you are cooking in the oven you can leave in the black plastic tray but take off the film from the top. You can cook in the microwave as well. Pulled spicy chicken, chilli and long grain rice in a tortilla, topped with a smokey sauce with a garlic & chive dip and a tomato & chilli salsa dip. The burrito was huge. My husband and I had half each. It was also very filling. Tasty smokey sauce but not a fan of the dips that went with it. You can also cook this in the oven or microwave. I suggest the microwave as the burrito is so thick in the middle it was still frozen when I took it out of my fan oven after the alloted time. 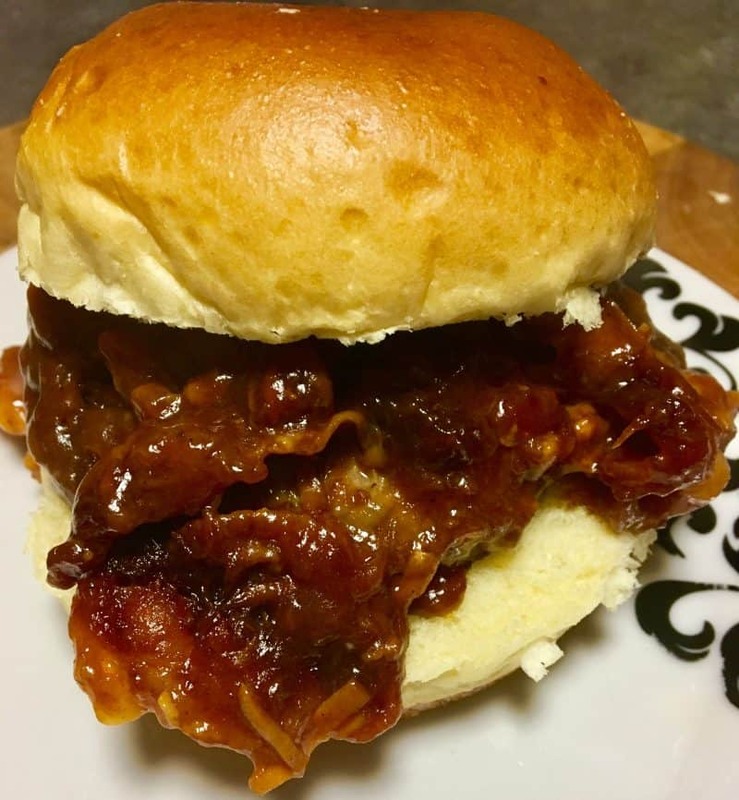 Beef burger with smoky bacon, signature BBQ pulled pork and mature Cheddar cheese in a brioche bun. This was my favourite out of the whole of The Shack range. The pulled pork was amazing in lots of BBQ sauce. The quality of the burger could have been a little better as it was hard to taste with all the BBQ pulled pork smothered in it. It’s quick and easy to pop in the microwave. The Ultimate Burger deserves a close up shot! Chicken and Buffalo Sauce Waffle – Breaded chicken breast sat on top of a waffle with a buffalo chilli sauce. Smokey House Beef Burrito – Similar to the pulled chicken burrito but beef. 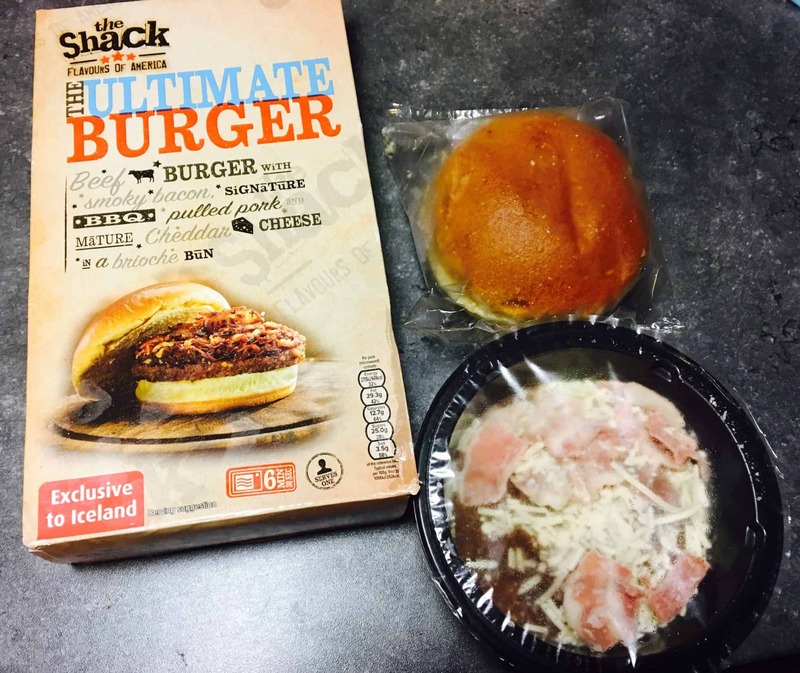 I’m glad I got to try Iceland’s new exclusive The Shack range. There are some lovely meals here, perfect for one. Most of the range apart from the burger, waffle and fajita meals were pretty spicy hot, so no good if you cannot stand the heat! I on the other hand love a spicy meal and these were certainly that! A very fulling range perfect for those comfort times and also great for a little sharing party. Have you seen The Shack range in Iceland? Which meal would you like to try? I would love to read your thoughts. 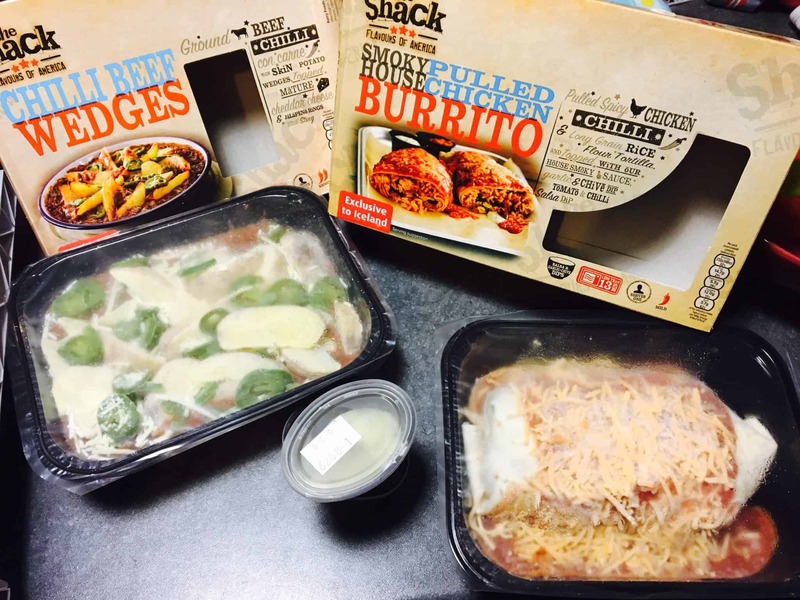 *I was sent a range of The Shack foods to try in exchange for a review. All thoughts and opinions are my own as always. Mmmmmmmmmmmmm these sound really yummy will definitely be stocking up on them when I go to Iceland next! These sound great – if they do more veggie dishes I’ll be signing up though I know veggie isn’t very American!